Not independent with written assignments even after specialized school programs and/or outside tutorial services. Often doesn’t correct reading errors — reads “floor” for roof, “expect” for except, or “imaginary” for immigrant. Spelling is unreasonable — spells “cirle” for circle, “dision” for decision. May be labeled learning disabled, dyslexic, or underachiever. Frequently mispronounces words or has persistent speech production problem. 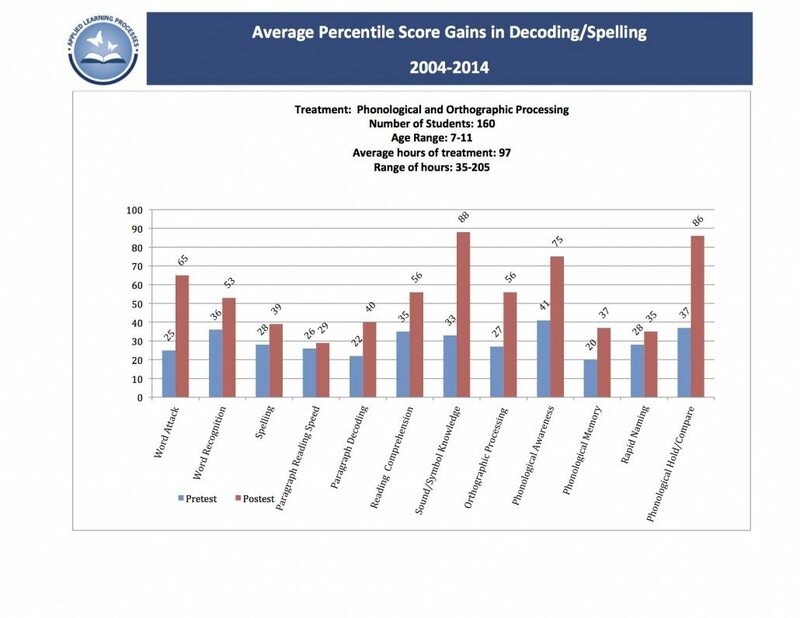 The primary cause of decoding and spelling problems is weakness in phonological processing – the ability to register and compare the identities, number and order of sounds in spoken words. Another cause of decoding and spelling problems is weakness in orthographic processing– the ability to establish and retain visual memory for letters and common spelling conventions. Phonological processing can be stimulated and applied to reading and spelling tasks. Individuals are trained to notice the mouth actions that produce speech sounds. This awareness enables them to correctly identify and sequence each of the sounds making up a spoken word. Training includes integrating phonological processing with mentally imaging and manipulating letters in words for improved reading and spelling fluency. With the ability to verify sounds within words and see corresponding letters “in the mind’s eye,” individuals are able to develop independent reading and spelling skills. They can figure out new words without help, increase sight-word vocabulary, and read school or work materials accurately. They become self-correcting in reading, spelling and speech production.